Specific genes are responsible for determining cell growth and differentiation during the early stages of cardiac development. Reactivation of these genes later in life can lead to an abnormal thickening of the heart muscle. Researchers from Charité—Universitätsmedizin Berlin lead by Professor Silke Rickert-Sperling have been able to identify the underlying molecular mechanism. The study, published in the journal Nucleic Acids Research*, was the first to describe the role a very specific protein plays in the development of this common type of heart disease. Cardiac hypertrophy, an abnormal thickening of the heart muscle, develops in response to constant exposure to increased stress on the heart, such as that exerted by high blood pressure. When the cells of the heart increase in size, they are said to become ‘hypertrophic’ (a condition that is characterized by a thickening of the walls of the heart). The chambers of the heart become smaller, and the heart muscle loses elasticity, impairing the heart’s ability to pump blood. 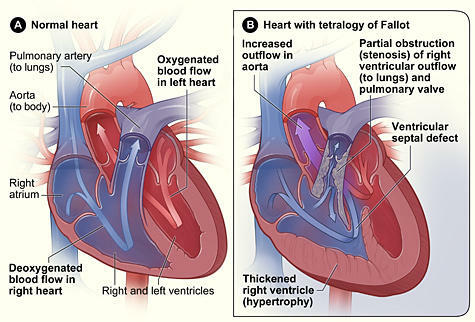 Cardiac hypertrophy is also a major risk factor for cardiomyopathy (weakening of the heart muscle), a serious condition that often leads to heart failure and death. For this current study, researchers from the Experimental and Clinical Research Center, an institution jointly run by Charité and the Max Delbrück Center for Molecular Medicine (MDC), were joined by researchers from the Max Planck Institute for Molecular Genetics (Berlin) and Harvard Medical School (Boston). Together, they described a novel molecular pathway underlying this condition. A specific protein, DPF, and its splice variant, DPF3a, appear to play a crucial role. Initial activation of DPF3a, which occurs as a result of phosphorylation, is achieved via the action of a special type of enzyme called a kinase. Once activated, DPF3a binds to a transcriptional repressor, a protein that inhibits the expression of different genes within the cell’s DNA. Binding releases the repressor protein, thus allowing the previously blocked gene to be transcribed and translated into proteins. This action by DPF3a leads to an increase in the production of proteins that are normally associated with early cardiac development, and which are typically found in patients with cardiac hypertrophy. Results were confirmed through analyses performed on cardiac tissue samples from patients with cardiac hypertrophy. According to Prof. Dr. Silke Rickert-Sperling, Head of the ECRC’s Cardiovascular Genetics Research Group, improving our understanding of the molecular basis of cardiac hypertrophy is the first step towards treating heart failure, adding that “it is my hope that our research represents a promising start in this area.” Across the globe, the search for new molecular targets for drugs used in the treatment of heart failure remains an area of intense research focus.